Welcome back to Episode 139 of the God and Guns Podcast. I’m your host, Troy. (Doug) And I’m your other host, Doug. (Troy) We use this podcast to talk about God, guns, and the responsible Christian gun owners interests. On this week's show we will be discussing Facebook's new Anti-Gun Anti Freedom policies. This Week's God and Gun activities:Doug: God: Been doing my daily devotional, Piper and sportsman daily devotional. Getting daily bible verses from my buddy who was recently saved. Guns: EDC. Put a new rifle on layaway. Found a CETME C308 Sporter. Troy: God: Reading Through the bible in a year ESV Bible App, Started another Devotional Book New Daily Walk Bible, Guns: Working on Safety Team layout and protocols, Reading “Keeping Your Church Safe” by Ron Aguiar, Picked up a RatWorx Auto Knife from a friend in the industry had to put it together. Comedy CornerBlack and White Attending a wedding for the first time, a little girl whispered to her mother, "Why is the bride dressed in white? "Because white is the color of happiness, and today is the happiest day of her life." The child thought about this for a moment, then said, "So why is the groom wearing black? http://www.nytimes.com/2016/01/30/technology/facebook-gun-sales-ban.html?_r=0Facebook is banning private sales of guns on its flagship social network and its Instagram photo-sharing service, a move meant to clamp down on unlicensed gun transactions. Facebook already prohibits people from offering marijuana, pharmaceuticals and illegal drugs for sale, and the company said on Friday that it was updating its policy to include guns. The ban applies to private, person-to-person sales of guns. 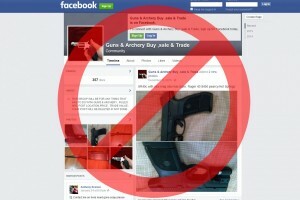 Licensed gun dealers and gun clubs can still maintain Facebook pages and post on Instagram. Although Facebook was not directly involved in gun sales, it has served as a forum for gun sales to be negotiated, without people having to undergo background checks. The social network, with 1.6 billion monthly visitors, had become one of the world’s largest marketplaces for guns and was increasingly evolving into an e-commerce site where it could facilitate transactions of goods. The ban thrusts Facebook into the center of another major societal debate. Discussions over gun control have flared anew after the mass shootings last year in San Bernardino, Calif., and a community college in Oregon, among others. In January, President Obama gave a speech promising to tighten enforcement of laws governing unlicensed gun sales. In response, some individual sellers said they would turn to sites like Facebook, which allowed them to freely advertise guns for sale. This Week's God and Gun activities: Doug: God: Been doing my daily devotional, Piper and sportsman daily devotional. Guns: EDC. Still looking for a Kel-Tec Sub-2000 in 9mm with Glock mags. Had one of our listeners email me. may be able to hook me up. More to come. Was going to Arkansas this weekend for the last week of duck season and nobody could get off work to go with me so didn’t go. Looking to lease a field next year out there. If you're from Arkansas and know anyone let me know. Troy: God: Reading Through the bible in a year ESV Bible App, Started another Devotional Book New Daily Walk Bible suggested by my pastor. God answered Prayer for a situation my Son was going through. Guns: Cleaned worked on the Benelli M4 switching out some parts, picked up a Trijicon RMR at DVOR for a Glock 19 MOS Build, Ordered Some Ammo, Talked with KY DOCJT about CCDW Form Prodigal. Went to a Church Security/Safety Class put on by a neighboring County Church Association. Met with The Staff and KSP helping put together the team and Prodigals. Comedy Corner The Coin TossBy the time Bobby arrived, the football game had already started. "Why are you so late?" asked his friend. "I couldn't decide between going to church and going to the football game. So I tossed a coin," said Bobby. "But that shouldn't have taken too long." said the friend. "Well, I had to toss it 35 times." First of all, I would like to thank yinz for providing us with the God and Guns podcast. During 2014, I saved GnG programs on my mp3 and made it a point to hear the show during the week. In February 2015, I was diagnosed with stage 4 colon cancer after a routine physical. My Faith in God was not shaken during last year at all. After all the chemo infusions,surgeries, warnings of nasty side effects and pain from my Doctors those things never happened. I have felt blessed more than anything. I am thrilled to add that I have outlived my date of expiration date of September 27, 2015. Instead of feeling woe is me. I felt more as giving hope for someone else. I have not as of yet been declared cancer free but I have claimed my healing from the second I was told that I was cancer candidate. Now that I have started back to work and still under the Doctor's watch. I have once again began downloading the podcast and listen at work. The only restriction I have now is at work. My Supervisor told me that if I am not 100% by March that he will have to let me go. Apparently he doesn't know the full power of God. So stay tune for further Miracles. Thirty-five years ago, unknown to me, God gave me the insight to buy Cancer Insurance. Back then it was expensive at a whopping $12.00/month which was a lot back in 1980. With that policy and company insurance it has been just enough to cover Doctor's bills and hospital cost. Just medicine alone cost $5K/ week. During my walk, I have found three things that one needs in life. They are, Faith in God, Prayer and Determination. I live off of Prayer. I love praying for others as much as being prayed for. In closing I would like to say is "Pray much and Pray often". And I tell male and female both, "Don't be a Dope. Get the Scope". Yinz see. Yinz thought yinz were going to give away a sample pack of "Frog Lube" but yinz was beguiled into hearing my testimony. So I figure I win twice. Main TopicThe city of Lowell, Massachusetts has adopted a new law requiring handgun permit applicants to write an essay and pay “upwards of $1,100 in training” to qualify. According to Fox News, Taylor pushed the new law and the city council passed it. As a result, applicants now have to write an essay and “state in writing why they should receive” a handgun license. In addition to the essay requirement, residents who want a handgun permit have to pay “upwards of $1,100 in training” fees. Follow AWR Hawkins on Twitter:@AWRHawkins. Reach him directly at awrhawkins@breitbart.com. HONOLULU (HawaiiNewsNow) - Hawaii gun owners would be required to have insurance for their firearms and renew their gun registrations every five years under a bill introduced Wednesday at the State Legislature, proposals that gun advocates said are unneeded and would have a chilling effect on constitutional gun rights. The proposal, introduced by State Sen. Josh Green (D – Kona, Ka’u) would require gun owners to obtain firearms liability insurance from private insurance companies. Hawaii would be the first state in the country to enact such a requirement, if lawmakers and the governor approve of the law. "I don't want to take people's guns away from them but I want people to take full responsibility," said Green, an emergency room physician at Kohala Hospital on the Big Island. Green likens the requirement to car insurance. "They have to pay insurance so that if they're in a collision and they hurt someone else who's an innocent bystander, it's covered. Just like with guns, if a gun falls into the wrong hands or if there's an accident, just an accident, it makes a lot of sense to me that we have that extra level of responsibility," Green said. Bill Richter, secretary of the Hawaii Rifle Association, said, "Any time you mandate something on a core constitutional, fundamental right, it has the effect of chilling that right and the exercise thereof, so we really don't think it's a good idea." Richter and insurance experts said homeowners and renters insurance would already cover accidents involving someone's firearms, even if gun incidents happen outside their home. Purposeful criminal activity would not be covered by liability insurance of any kind, Richter said. Green's proposal would also require gun owners to renew their registrations every five years. Right now, that gun registration is good for life without taking into consideration changing medical or mental conditions of gun owners. "Imagine if someone has become blind over the years, should they have a gun? Imagine if someone's had psychiatric illness from drug addiction," Green said. The five-year renewal requirement would require 200,000 guns being re-registered in Hawaii each year, about ten times more registrations than are processed annually now. "The workload is going to be incredibly high, it's going to be difficult to maintain and how are we going to pay for it?" Richter said. Green admitted the proposal won’t be easy to get through the legislature and could take years to be approved. "A bill this controversial and this unique usually does take a few years. But I want people talking about it now so that if we have to do something we don't do it on the fly. That we've had good dialogue," Green said. But Richter said Hawaii already has some of the most restrictive gun laws in the country and very low instances of gun violence, so further restrictions are not needed. "Hawaii requires everybody to get a permit to acquire. Requires training, 8-hour training course in order to purchase a handgun. Every transfer has to go through HPD. (Honolulu Police Department) So there are more than enough controls," Richter said. Sponsor the Firearms Radio Network & Patriot Patch Co.
NRA Armed CitizenMan injured after attempted robbery at downtown parking garage LOUISVILLE, Ky. (WHAS11) – Police are investigating a shooting in downtown Louisville Tuesday evening after a victim foils an attempted robbery. Police say the incident happened just after 6 p.m. near 5th and Liberty at the parking garage. According to a preliminary investigation, a woman was approached by a man who put a knife to her throat demanding her belongings. Police then say the woman reached inside her purse as if she were going to give her wallet but instead grabbed her gun, pulled it out and shot him. The man then fled on foot to 5th and Jefferson at the PNC building where people called an ambulance. The woman waved down officers and told them she believed she shot someone. Police say they still need to interview both parties to determine charges. The man was taken to the hospital and he is expected to survive. His condition is unknown. The woman was also checked out. Wrap Up:-Send feedback to Troy@godandgunspodcast.com, or Doug@firearmsradio.tv -Please tell your friends about us, leave an iTunes review, and like us on Facebook at www.facebook.com/godandgunspodcast-Follow us on Twitter @godandgunspod -And search for us on Instagram too. -Until next time, Have a blessed week. And keep your guns close but your bible closer. Welcome back to Episode 136 of the God and Guns Podcast. I’m your host, Troy. (Doug) And I’m your other host, Doug. (Troy) We use this podcast to talk about God, guns, and the responsible Christian gun owners interests. On this week's show we will be discussing Obama's overreach and hopes for the coming year. Deer Tracks A blonde, a brunette, and a redhead decide to embark on a three day hunting spree, with one woman hunting one night each. On the first night, the redhead goes out hunting for a deer. When she comes back, the brunette and the blonde ask, "Did you find the tracks?" The redhead replies, "I found the tracks, followed the tracks, and caught a deer." On the second night, the brunette goes out hunting for a rabbit. When she comes back, the blonde and the redhead ask, "Did you find the tracks?" The brunette replies, "I found the tracks, followed the tracks, and caught a rabbit." On the third night, it's the blonde's turn to go out hunting. When the blonde comes back looking roughed up, the redhead and the brunette ask in shock, "What happened to you?!" The blonde replies, "I found the tracks, followed the tracks, and got hit by a train." Great Podcast 5 Stars by Jeremy-In-Toledo Dec 28 Great mix of God guns and corny humor. I learn something new every time I listen. The God and Guns Podcast has become my favorite podcast. Keep up the good work! Alec Brown 5 Stars by Acbdu Jan 1 Best podcast out there!!!! A great mix of god and guns the two best things out there right next to donuts. everyone needs to subscribe because we could all use some more Jesus and Gun knowledge. Keep up the good work Troy and Doug. Great Resource and Thought Provoking Podcast 5 Stars by Scotty from MI Jan 7 I’ve subscribed to GNG now for several months. I’ve been challenged that in every episode they check up on eachother they they are seeking God through Bible memory and devotions. It reminds me to ensure I do the same with my friends as we meet up. The topics are also challenging. The first episode where Greg Hopkins was interviewed set me off on a journey to ensure our local church is grounded Biblically in our belief in self-defense and the prepared based on the believe to protect our local congregation should the need rise. My wife gave me a book “a Time to Kill” for christmas and i am working through it while i research an appropriate policy. I enjoy their down to earth approach and their boldness to base their decisions on the Bible. I enjoy the camaraderie of you two as fellow believers who enjoy guns like me. Awesome 5 Stars by Idonotknowhowtotiemyshoes Jan 8 Troy, a jack of all trades, literally, well, except a grammar teacher. and Doug, someone you just wanna hang out with. 2 Cool, smart men (not book smart). PS just a joke. Thanks guys love the show! Can't say enough about literally my two favorite things GOD and Guns you guys are doing a good thing and I really appreciate y’all! God bless! Unfortunately, the president’s remarks had a large number of errors. Here are 11 of the false or misleading claims that the president made. Last year, both France and the US had four mass public shootings. France suffered more casualties (murders and injuries) from mass public shootings in 2015 than the US has suffered during Obama’s entire presidency (532 to 396). And this occurred despite the US being five times more populous than France. But it isn’t just the horrific year that France had last year. Far from being well below the frequency found in US, other European countries actually have a worse problem. From 2009 through December 2015, eleven European countries experienced mass public shootings at a greater frequency than did the US, after adjusting for population. These countries include Switzerland, Norway, Belgium, and the Czech Republic. President Obama’s statement is clearly false. Obama claims that expanding background checks to include any private transfers of guns will reduce mass public shootings. But he offers no evidence. Not one mass public shooting during Obama’s administration would have prevented by these checks. Often overlooked is that the three most recent massacres occurred in states – California, Colorado, and Oregon – which already have such laws in place. The same is true of mass public shootings that have occurred in France, Belgium, Norway, Germany and other European countries. Examining all the mass public shootings in the US from 2000 through 2015, shows that states that adopted additional background checks on private transfers saw a statistically significant increase in rates of killings (80% higher) and injuries (101%) from mass public shootings. Here’s another quote: “I don’t believe people should be able to own guns.” That’s what Obama said to me when we were colleagues at the University of Chicago in 1996. Obama has also publicly supported a nationwide “ban [on] the manufacture, sale and possession of handguns” as well as a “ban the sale or transfer of all forms of semi-automatic weapons.” Even as late as the 2008 Presidential primaries, Obama supported Washington, D.C.’s handgun ban. It would be nice to take President Obama’s word for this, but Americans have seen this scenario play out before and at least realize this fear isn’t completely misplaced. California, New York, and Chicago have all used registration lists to identify who owns guns that are no longer legal. Since 2004, the FBI has been required to destroy NICS records of gun sales and transfers within 24 hours of receipt. However, federally licensed dealers are required to maintain records of background checks that have been done on customers. Congress currently forbids federal collection of this information into a central database, but there’s no guarantee that this won’t change. With records on all private transfers and sales, the government could potentially figure out who legally owns a gun. Five years down the line, a future President Hillary Clinton could push to require that federally licensed dealers make copies of their records and turn them into the federal government. This would be the start of a national registration list. This “internet loophole” is fictitious. If you try to buy a firearm over the Internet from a licensed firearms dealer, you have to go through a background check, period. They’ll ship the gun to your nearest licensed dealer. There’s no loophole there. Obama’s 1-in-30 claim misstates what occurred. Michael Bloomberg’s Everytown organization set up an internet site pretending to sell guns, but no guns were sold. Criminal background checks were done on the people’s names for those who visited the site and people who might have criminal backgrounds were identified, but there were all kinds of false positives. I might not have a criminal record, but there are other people with similar names who do have criminal records. This claim stems from another study funded by Michael Bloomberg. In 1996, Congress passed a budget amendment that banned the CDC from using Federal funds to lobby for gun control. Bloomberg claimed that firearms research in medical journals fell by 60 percent between 1996 and 2010. But what Bloomberg measured was firearms research relative to all other research. In fact, total research on firearms increased over that time. Firearm studies soared from 69 in 1996 to 121 in 2013. Other medical journal research simply increased even much faster. There are 18 states with background checks on the private transfers of guns. The Bloomberg funded study picked the state that most serves their agenda here. But a great deal of manipulation was still required. To get the 40% figure, 1995 to 2005 is conveniently selected as the time period.Adding one more year to the data completely undermines Obama’s claims. Connecticut’s firearm homicide rate only fell by 16% between 1995 and 2006. It fell by 12.5% between 1995 and 2010. Meanwhile, the US and the rest of the Northeast experienced much greater drops. From 1995 to 2006, the firearm homicide rates for the US and the rest of the Northeast fell by 27% and 22%, respectively. From 1995 to 2010, these drops were even more pronounced – 39% and 31%. Therefore, when one looks at these longer time periods, one actually observes a relative increase in Connecticut’s firearm homicide rate. This is yet another Bloomberg funded study. Again, another it picked out one state out of many that have these laws. After the law was changed, Missouri’s murder rates did in fact rise by 17 percent relative to the rest of the US. However, murder rates were already on a sharp, upward trend, having increased by 32 percent in the five years prior to the change. The murder rate increase thus actually slowed down after the background checks on private transfers were ended. Also, there was no relative fall in Missouri’s murder rate after the state adopted comprehensive background checks in 1981. Despite Obama’s claims, the law is actually quite clear on those who have to get a federal firearms license and it poses real problems for his plans: “a person who devotes time, attention, and labor to dealing in firearms as a regular course of trade or business with the principal objective of livelihood and profit through the repetitive purchase and resale of firearms, but such term shall not include a person who makes occasional sales, exchanges, or purchases of firearms for the enhancement of a personal collection or for a hobby, or who sells all or part of his personal collection of firearms.” Yet, Obama’s rules will cover people who sell as few as one gun. How one reconciles that with the language of the statute is a mystery. For many individuals, even a couple of dozen gun sales are unlikely to be an individual’s primary occupation. Guns are more effective weapons, but that also means that they are more effective tools for self-defense. In any case, it is fortunately as President Obama says that “most of [the victims] survived” in the attack that he chose to mention, but, over the years, there have been lots of very deadly knife attacks in China. The claim that government safety regulations has made cars safer – either in reducing accidents or suicides -- and could similarly be used to make guns safer is wrong. Between 2000 and 2013, without any of the regulations that Obama claims are necessary, the drop in accidental firearm deaths fell almost twice as much as the drop in accidental motor vehicle deaths. While firearm suicides rose by 28 percent over that period, suicides using motor vehicles rose by 47 percent. The real problem with Mr. Obama’s policies is that they will actually cost lives. Possibly President Obama has seen too many James Bond movies, but requiring the technology that limit who can use a gun is extremely expensive and is hardly foolproof. The one gun on the market right now works with a watch like wrist band that sends out a short-range radio signal that needs to be near the gun for it to fire costs $1,800. Police won’t use the guns because radio-jamming devices can effectively disarm the police. The high cost will prevent poor people from having the option to defend themselves. NRA Armed CitizenArmed neighbor saves boy from pit bull mauling, KDKA, Pittsburgh, Pa. 01/10/16A husband and wife were at home in Pittsburgh, Pa. when the wife heard the screams of a 14-year-old neighbor. The boy was calling for help, as his 7-year-old brother was under attack by a pit bull. The wife alerted her husband, who retrieved a gun and went to the site of the attack. Intro: Welcome back to Episode 135 of the God and Guns Podcast. I’m your host, Troy. (Doug) And I’m your other host, Doug. (Troy) We use this podcast to talk about God, guns, and the responsible Christian gun owners interests. On this week's show we will be wishing you a Merry Christmas and discussing John Piper's recent article on self-defense. This Week's God and Gun activities:Doug: God: Been doing my daily devotional, Piper and sportsman daily devotional. Guns: EDC. Got my dog Ella out hunting this weekend. I had the opportunity to be Santa again this year a few times. Actually was able to get a puppy into a home that really needed it. I am dressing up in my Santa suit and delivering it Christmas Eve. Troy: God: Daily Devotional, Sunday Church, Youth Christmas Party, Had Christmas. Guns: Traded for a Kel-Tec PMR30, My Brother and and Nephew came down and shot pistols on my range. Comedy Corner Santa's Lap A father took his son Billy to the Penney's mall to see Santa. They stood in line awhile, and finally the boy was able to meet Santa and sit on his lap. “Will you be a good boy and do what your daddy tells you?” Santa asked. “Why Billy?” asked his father. Slaten Lee Dooley (Picture of Greg’s Book A Time to Kill the Myth of Christian Pacifism.) Sorry I sent that three times. My smart phone outsmarted me.lol I love the podcast! My fiance got this for me because she heard me talking bout the book and hearing about in on g&g. Have a blessed week. I,m looking forward to the next episode. ITUNES Review 5 StarGreat Podcast by the Cool Gamer Dec 21 Hey Guys, I work in sales and am in my car 70% of the day, and also lots of windshield time. I really enjoy your CLEAN banter and motivation to continue to read my bible. Thanks for all you do. Eclipse Holsters use code GodandGuns to get 20% off between now and Christmas Day 2015. Intro:Welcome back to Episode 134 of the God and Guns Podcast. I’m your host, Troy. (Doug) And I’m your other host, Doug. (Troy) We use this podcast to talk about God, guns, and the responsible Christian gun owners interests. On this week's show we will be talking with EJ Owens of Legally Concealed. This Week's God and Gun activities:Doug:God: Been doing my daily devotional, Piper and sportsman daily devotional. Guns: EDC. Been in Tennessee all weekend on a hunting trip. Hot and very few ducks. Hung out with 22Plinkster and he did the video for the Rock Island 1911 in 22TCM on bullet proof glass. I shot the SW 500 Mag and The 1860 Henry Original in 44-40. Troy:God: Daily Devotional, Sunday Church, Doing Church things and meeting, and patrolling during Service. Guns: Conceal Carry or open Carry everyday. CCDW Class went well here at the compound. Scheduling 2 more soon Daughter and wife got to go to TobyMac and meet and greet for surprize. Comedy CornerComputer Malfunction This blonde turns on her computer one morning at work. As it comes to life, suddenly smoke starts billowing out the back. Frantically, she calls tech support and asks, "Are you guys having a fire down there?" Blonde CopThis blonde cop stops a blonde driver and asks for identification. Jake Newman‎:What can we do to keep Obama from staying president of the united states of America?God and Guns Podcast: Pray, write and call your senators, pray, write and call your congressmen, pray, write and call your governor's, pray, and prepare for for the worst. Then pray. Russell Frederick Dec 10th, 6:02am Hey guys, I've been following you on Facebook for some time but I just listened to one of your podcasts for the first time last week. I'm a Christian and a truck driver. I thank you so much for your Christian stand. God bless you and your families and have a Merry Christmas. EJ Owens Close Quarters Battle Instructor, an NRA Certified Personal Protection In The Home Instructor, a combat medic, a rope-rappel master, a TN State Handgun Permit Instructor, a Certified Glock Armorer, and the 2009 MS State IDPA Champion (CDP). He also served his local community as a fireman and nationally registered paramedic. Wrap Up:-Send feedback to Troy@godandgunspodcast.com, or Doug@firearmsradio.tv -Please tell your friends about us, leave an iTunes review, and like us on Facebook at www.facebook.com/godandgunspodcast -Follow us on Twitter @godandgunspod -And search for us on Instagram too. -Until next time, Have a blessed week. And keep your guns close but your bible closer. Intro: Welcome back to Episode 133 of the God and Guns Podcast. I’m your host, Troy. (Doug) And I’m your other host, Doug. (Troy) We use this podcast to talk about God, guns, and the responsible Christian gun owners interests. On this week's show we will be talking with Justin Murray of Crossbreed Holsters. This Week's God and Gun activities: Doug: God: Been doing my daily devotional, Piper and sportsman daily devotional. Guns: EDC. Have not done much this week. Cleaned a few guns. Headed North duck hunting tomorrow and will be shooting with 22Plinkster. The husband was thinking to himself, "Oh no, what has he done now?" and asked with some hesitation, "Well, what did you name them?" Main Topic CrossBreed® Holsters, LLC was started in 2005 by Mark Craighead. From a small startup in the garage, the business is now a major player in the concealed carry community. Justin Murray Dealer Sales of Crossbreed Murray comes to us from the Republic, MO Police Department where he most recently held the position of Canine Officer. Murray brings a wealth of knowledge to CrossBreed Holsters including Sub-Machine Gun, Rifle, Pistol and Shotgun Instructor, SWAT school, Homicide Investigation, Undercover Hostage Rescue and Police Service Dog Handler. Murray also gained experience in Methamphetamine/Hazmat tech, Advanced Technical Surveillance, Interdiction, High Risk Event Planning, Glock Armorer, Street Survival, Undercover Techniques as well as shooting competitively in his college years. Intro: Welcome back to Episode 132 of the God and Guns Podcast. I’m your host, Troy. (Doug) And I’m your other host, Doug. (Troy) We use this podcast to talk about God, guns, and the responsible Christian gun owners interests. On this week's show we will be hanging out with 22Plinkster. This Week's God and Gun activities: Doug: God: Been doing my daily devotional, Piper and sportsman daily devotional. Guns: EDC. Went to Stuttgart Ar. this week for thanksgiving. had a good trip with my wife. Met my Brother and his wife in arkansas. It was a duck beat down. Troy: God: Daily Devotional, Sunday Church, Doing Church things and meeting, Mission Team, Trustee Stuff, and patrolling during Service. Guns: Conceal Carry or open Carry everyday. Getting things ready for my upcoming Dec 12th CCDW here at the compound. Working on an armed Church Security Team. Working on a Church Medic Team too. Finished up the Mods to my PTR91/HK91 Truck Gun. Waiting for it to be nice enough to go out and rezero the Scope and run a few mags through her. Picked up another Gun off Facebook yesterday. Got some Land of Promise Books in Yesterday for a giveaway. Got some parts last night. Comedy Corner: Perfect Woman Once upon a time, a perfect man and a perfect woman met. After a perfect courtship, they had a perfect wedding. Their life was, of course "perfect." One snowy, stormy Christmas Eve, this perfect couple was driving their perfect car (a SUV) along a winding road, when they noticed someone at the side of the road in distress. Being the perfect couple they stopped to help. There stood Santa Claus with a huge bundle of toys. Not wanting to disappoint any children on the eve of Christmas, the perfect couple loaded Santa and his toys into their vehicle. Soon they were driving along delivering the toys. Unfortunately, the driving conditions deteriorated and the perfect couple and Santa Claus had an accident. Only one of them survived the accident. Who was the survivor? The perfect woman survived. She's the only one who really existed in the first place. Everyone knows there is no Santa Claus and there is no such thing as a perfect man. So, if there is no perfect man and no Santa Claus, the perfect woman must have been driving. This explains why there was an accident. Most likely Jesus was born on September 29, the same as the date of the Jewish Feast of Tabernacles. It would have at least been appropriate for Christ to have been born on such a date, for it was at His birth that ‘the Word was made flesh and dwelt (literally tabernacled) among us’ (John 1:14). Intro: Welcome back to Episode 131 of the God and Guns Podcast. I’m your host, Troy. (Doug) And I’m your other host, Doug. (Troy) We use this podcast to talk about God, guns, and the responsible Christian gun owners interests. On this week's show we discuss Thanksgiving and have our friend Jim Rawles to discuss some current issues. Doug: God: Been doing my daily devotional, Piper and sportsman daily devotional Daily Bible Verse. Daily bible verses. Guns: EDC. Deer hunting. Duck season is in. Headed to Arkansas. Got lab puppies. Bill bought his beautiful blonde wife, Sherry, a cell phone for their first wedding anniversary. Sherry loved the gift, and watched intently as Bill explained all the features on the phone. “I just love it. It’s so small and your voice is clear as a bell, but there’s one thing I don’t understand. How did you know I was at the beauty parlor ?”. Paris, false flag or the real deal? Do you think the caliphate will be getting a foothold here or are there enough armed Americans? What do you think about the reversal of DC’s Sheriff on armed citizens taking out the bad guys? How many caches do you suggest you have for fallback provisions? How far away? If you wanted to get out of cash, what would you convert to right now? New Projects? Next in the Promised Land Series? On this week's show we will be talking with Zeke Stout Chair of SDI School of Firearms Technology. Intro: Welcome back to Episode 130 of the God and Guns Podcast. I’m your host, Troy. (Doug) And I’m your other host, Doug. (Troy) We use this podcast to talk about God, guns, and the responsible Christian gun owners interests. On this week's show we will be talking with Zeke Stout Chair of SDI School of Firearms Technology. This Week's God and Gun activities: Doug: God: Been doing my daily devotional, Piper and sportsman daily devotional Daily Bible Verse. Guns: EDC. Did good hunting Saturday. Killed a Deer and we go a wild hog. Not a bad day.Waiting on my puppies to be born. Any day now. Troy: God: Daily Devotional Piper, Listening to a lot of John Piper’s sermons recently, free from their archives. Phillip and Andrew visited. Guns: Conceal Carry or open Carry everyday. Still cleaning guns after our buddies came to shoot last Thursday. Worked on the range. Comedy Corner: A funeral service is being held in a church for a woman who has just passed away. At the end of the service, the pallbearers carrying the casket accidentally bump into a wall jarring the casket. They hear a faint moan. They open the casket and find that the women is actually alive. She lives for 10 more years and then dies. A ceremony is again held at the same church and at the end the pallbearers are again carrying the casket out. As they are walking, the husband calls out, "Watch out for the wall!" Two priests died at the same time and meet St. Peter at the Pearly Gates. St. Peter says, "I'd like to get you guys in now but our computers are down. You'll have to go back to Earth for about a week, but you can't go back as humans. What'll it be?" On this week's show we discuss we will be talking with Author Greg Hopkins about his book A Time To Kill, the Myth of Christian Pacifism. Intro: Welcome back to Episode 129 of the God and Guns Podcast. I’m your host, Troy. (Doug) And I’m your other host, Doug. (Troy) We use this podcast to talk about God, guns, and the responsible Christian gun owners interests. This Week's God and Gun activities: Doug: God: Been doing my daily devotional, Piper and sportsman daily devotional Daily Bible Verse. Guns: EDC. Have not done much in guns this week. I have been hunting some. Nothing with the gun yet. Waiting on my puppies to be born. Any day now. Reviews Feedback iTunes 5-Star by WeaselBooger - Nov 4, 2015 Like Being involved in a good conversation I really enjoy this podcast, it's like being involved in a good conversation at the local chow hall. Entertaining Stories, slices of life and a helping of God. The guys sound genuine and I’d buy them both a beer if they ever get up to North Idaho. Douglas A Schultz‎ Sent a video of his son's baptism saying Proud Daddy! on Facebook this week. Weekly Bible Verses The ear that listens to life-giving reproof will dwell among the wise. Whoever ignores instruction despises himself, but he who listens to reproof gains intelligence. Do federal, state, and local laws allow citizens to defend themselves against criminal attack? What means are available for self defense? What strategies should one use to avoid potential conflict. Can Christians defend themselves against Islamic extremists? Is pacifism in the Bible? Do the Gospels say Jesus was a pacifist? What if God commands us to use deadly force to defend the innocent? How do Jesus and the New Testament writers feel about the military? Can Christians sit on juries and vote for the death penalty? Can Jesus' teachings help soldiers with combat-induced PTSD? Doug: God: Been doing my daily devotional, Piper and sportsman daily devotional Daily Bible Verse. Guns: EDC. Deer hunting. Heading to Ossabaw Island for a deer hunt. Got a new duck call from Wendy and the kids. RNT DC Mondo. Troy: God: Daily Devotional, Sunday Church took my grandkids with us, Visited Sunday after church. Wednesday night youth service. Shared my testimony with a couple line techs working on power lines that run across our property. Guns: Conceal Carry or open Carry everyday. Father gave me part of his gun collection, Shot the Axelson Tactical Battle Rifle Comedy Corner: Hi guys, I just wanted to share a joke for your comedy corner. I asked my wife for a newspaper. "Don't be silly." She responded, "Use my iPad." She was right, that spider never knew what hit it! Keep up the great podcast. James Reviews Feedback Great Show 5 Stars iTunes by Scubastevetn Oct 12, 2015 This is a great show. After listening to the show for a while I started following them on Facebook and became friends on Facebook with the two guys on the show, Troy and Doug. My brother became seriously ill and eventually passed away. I received messages on Facebook from them and it blows me away that they care enough about their audience to actually look at their Facebook pages and then to comment: WOW!! two awesome guys. Where besides the USA, Natural Resources? The numbers of Guns and availability of parts. On this week's show we discuss the insane case of Mia Higginbotham in NJ. Intro: Welcome back to Episode 126 of the God and Guns Podcast. I’m your host, Troy. (Doug) And I’m your other host, Doug. (Troy) We use this podcast to talk about God, guns, and the responsible Christian gun owners interests. This Weeks God and Gun activities: Doug: God: Been doing my daily devotional, Piper and sportsman daily devotional Daily Bible Verse. Had my daughter and granddaughter at church on Sunday. Guns: EDC. Deer hunting. Finally seen 1. MISSED…. Golfed a Fallen Hero tournament on Monday. Troy: God: Daily Devotional My Utmost for his Highest by Oswald Chambers, Sunday Service was Awesome at Church, Visited Parents, Grandmother, Son, and Grand kids Sunday. Wednesday night youth service. 60 kids, 10 adults. Guns: Conceal Carry or open Carry everyday. Picked for a Taurus 94 Revolver 22LR 6” Barrel Blue 9 Shot. 1,200 Rounds of CCI 22LR at Cabela's. Peter Wiktorski Hey guys, Just listened to the new show and want to visit Williamsburg in the future. I have been to Charleston, SC Savannah, GA and St. Augustine, FL. Just picked up a XDs in 45 in a trade with a coworker. What do you recommend for a carry load? I've been carrying a .40 for the better part of 20 years and am new to the .45 game. Scott Hansen I just got done listening to your episode with in Virginia. It opened up my eyes to how many people actually carried I never knew how many people carried guns. I lived in Chesapeake and there was only about an hour and a half to Colonial Williamsburg I visited there once I visited there once Jamestown the first settlement it was great going there. I would like to go back there sometime again. One thing about Virginia there is a lot of people in a lot of traffic if you've ever spent some time down in Chesapeake Norfolk Virginia Beach area that's where I was. There was too many people for my comfort so I decided to leave now living in Oklahoma lot less people here. Keep up the good podcast I like hearing about my two favorite subjects God and guns. New Jersey – Mia Higginbotham was charged with unlawful possession of her own, lawfully owned unloaded handgun, which was packed in its original box and locked in her hard-sided luggage. She was moving from her residence in New Jersey to her residence in Florida. She declared the firearm at check-in, but was subsequently arrested at Liberty International Airport in Elizabeth / Newark. She had no ammunition in her possession whatsoever, and was plainly trying to follow the law. Mia is married and has a young daughter. She is currently facing 10 years in State Prison with a minimum mandatory of 3.5 to 5 years with no chance of parole for her attempt to lawfully transport her handgun between residences. Watch the video below to be shocked by her story. Then post the link to this tragedy all over let’s shame New Jersey for this un-American behavior. You can help. Send money to Mia’s legal defense fund, don’t let her go to prison just because she lives in New Jersey. On this week's show talk about Troy’s recent visit to Colonial Williamsburg VA.
God and Guns Podcast Episode 125 - VA is for Gunners Intro: Welcome back to Episode 125 of the God and Guns Podcast. I’m your host, Troy. (Doug) And I’m your other host, Doug. (Troy) We use this podcast to talk about God, guns, and the responsible Christian gun owners interests. On this week's show talk about Troy’s recent visit to VA. This Weeks God and Gun activities: Doug: God: Been doing my daily devotional, Piper and sportsman daily devotional Daily Bible Verse. At cracker barrel after church on Sunday and saw a guy open carrying. gave him one of our cards. Got several people signed up on DVOR this week. Got my firearms radio network shirt. Guns: EDC. Been chasing deer round this week. No luck so far. Scored some 22 ammo on Tuesday. Troy: God: Daily Devotional My Utmost for his Highest by Oswald Chambers, Wednesday night youth service. 57 kids, 10 adults. Guns: Conceal Carry or open Carry everyday. The Axelson Tactical combat 5.56 arrived the day before we left for VA. Taking it to the range tomorrow. Comedy Corner: Two blondes walk beside each other down the street. One of them sees a broken piece of mirror on the ground, grabs it, looks at it and says, "This girl looks so familiar, but I can't remember where I know her from." The other girl grabs it from her hand, takes a look at it, and says, "It's me you idiot!" Thomas M. Buckley Hi Troy & Doug. Doug I've got a holster I will gift to you - if you want it. I had ordered a VP9 (Troy, you may remember my past email below. We have emailed several times, but I don't think I've ever corresponded with Doug), but before it came in I ran into a mint used flat dark earth Glock 19 with night sights & picked it up for a steal - so I am out of the VP9 business for now. I had already purchased a used (but never actually used) high quality Stealth Gear AIWB for the VP9 from a buddy, obviously I don't need it now. Instead of selling it I'd rather support you guys as y'all work every week to provide us with great God-centered gun related content that I find value in. Doug, just send me your address and I will ship it to you. Photo is attached to this email. Visited Jessica Hazelaar of Eclipse Holsters, she gave our kids and me the tour of her factory. Visited Williamsburg, Jamestown, Yorktown, and Monticello. RV with Homeschool families. CARTER COUNTY, Ky. (WSAZ) - A senior citizen turned the tables during a home invasion. The elderly man woke up during a nap about 10 a.m. Tuesday to find a burglar ransacking his house. When Robert Hamm got up to investigate what was causing a loud noise, he saw a man going through the drawers in one of his bedrooms. "I saw the man with his arms loaded up with my tools," Hamm said. The burglar, who'd climbed in through the bedroom window, apparently didn't know or care that the 75-year-old was home. Hamm, who keeps his gun handy, wasn't about to let the crook escape with his stuff. "I just pointed the gun at him and told him I'd blow him in two if he moved," Hamm said, "and I made him lay down here in the middle of the floor." Hamm called 911 and held him at gunpoint until police showed up at his home along Blue Hall Road in Olive Hill. "I wanted to shoot him really bad," Hamm said. "I really wanted to shoot him." Hamm says he's known the suspect, Larry Lee Thompson, since he was born, and that he has a reputation for this sort of thing. The suspect's sister, Loretta Boggs, lives up the road. She was devastated her brother forced her neighbor to this extreme. "It hurts me deeply," Boggs said. "It hurts the whole family. We love him, but what can we do?" She says he's been living recently in Richmond, Kentucky. Thompson was taken into custody by the Carter County Sheriff's Department. Intro:Welcome back to Episode 124 of the God and Guns Podcast. I’m your host, Troy. (Doug) And I’m your other host, Doug. (Troy) We use this podcast to talk about God, guns, and the responsible Christian gun owners interests. This Weeks God and Gun activities: Doug: God: Been doing my daily devotional, Piper and sportsman daily devotional Daily Bible Verse. Guns: EDC. Went to the range and shot the New Axelson Tactical combat 5.56. Getting ready for deer season. Happy birthday to my girls today. Troy: God: Daily Devotional My Utmost for his Highest by Oswald Chambers, More Trustees meetings, Church at renovated Worship Center, Another Contractor Meeting tomorrow night. Guns: Conceal Carry or open Carry everyday. FrogLube. A man died and went to heaven. As he stood in front of St. Peter at the Pearly Gate he saw a huge wall of clocks behind him. He asked. What are all those clocks? St. Peter answered, Those are lie clocks. Every time you lie the hands on your clock will move. Oh, said the man, Whose clock is that? Thats Mother Teresa’s. The hands have never moved. concluding that she has never told a lie. Thats Abraham Lincolns clock. The hands have moved twice, telling us Abe told only 2 lies in his entire life. His clock is in Jesus office, He uses it as a ceiling fan. Reviews Feedback ITUNES Review 5 Star by IKNOWHOW2TIEMYSHOES Can’t get enough, Great show! Phillip English It was really cool getting a shout-out. I wasn't expecting it in the slightest. You and Troy are awesome. On this weeks show we will be interviewing Mike, Jim and Jeremy of the Reloading Podcast. Intro: Welcome back to Episode 123 of the God and Guns Podcast. I’m your host, Troy. (Doug) And I’m your other host, Doug. (Troy) We use this podcast to talk about God, guns, and the responsible Christian gun owners interests. On this weeks show we will be interviewing Mike, Jim and Jeremy of the Reloading Podcast. Doug: God: Been doing my daily devotional, Piper and sportsman daily devotional Daily Bible Verse. Guns: EDC. Picked up 2 pistols this week - Kel-tec P9 9mm and a Taurus Millenium 9mm. Also scored at academy today with 825 rounds of ammo. Just got back from a Friends of the NRA Banquet. Didn’t win anything. Got a new Holster in from Eclipse Holsters. Jessica Hazelaar, Owner, created a great holster and is sharing the savings with our listeners. What is the difference between a dead deer on the road and a dead lawyer on the road? The deer has skid marks in front of it. Shout out to Phillip (15) and Andrew (12) Pamela E. Hello--I feel like I know Doug and Troy so well, not because I listen to your podcast but because my two missionary sons do: Phillip (15) and Andrew (12). It is hard on them being missionary kids never feeling like they fit in anywhere. They talk about you two ALL THE TIME. You have ministered to them here in Guatemala continually for about six months and thought that I would let you know and thank you for the ministry to the boys. 5 Star by Toms937 Refreshing Troy and Doug are fun, casual, informative and cover both your relationship with God and everything about guns, sometimes at the same time. 5 Star by Guns n Dogs Love the Show Just wanted to write a review since you guys are always wanting more. I usually listen to the show on Sundays at work. Due to being in LE I can't always make it to church due to my work schedule so i always try and listen to you two on my way to work or while doing the Lord's work. Thanks for the great show and keep up the good work! On this weeks show we will be discussing the Rock Island 22TCM/9MM 1911. God and Guns Podcast Episode 120 - Rock Island 22TCM/9MM 1911 Intro:Welcome back to Episode 120 of the God and Guns Podcast. I’m your host, Troy. (Doug) And I’m your other host, Doug. (Troy) We use this podcast to talk about God, guns, and the responsible Christian gun owners interests. This Weeks God and Gun activities: Doug: God: Been doing my Daily Devotionals, Sportsman's Devotional and Bible Verses Guns: Had a good day on the range Saturday. We tested the new Rock Island in 22TCM and the Ammo from our friends at Armscor. It is a beast. We blew up watermelons with it. Also shot my new HK VP9 that I just picked up. Probably my new favorite gun. I am working with a holster maker to get a new Kydex holster OWB and it is going to have the God and Guns Logo on it. I will be showing it off on our sites as soon as it comes in. Also working on setting up a PDN sponsored shoot with Troy and I for the Combat Focused Shooting. Should be fun. Troy: God: Daily Devotional My Utmost for his Highest by Oswald Chambers, Church, Wednesday Night Student Guns: Conceal Carry everyday. Assembled my steel targets for the range waiting for it to dry. Shooting Tomorrow and videoing for youtube. New Fitbit Owner, If any of our listeners are fitbit people challenge me so I can get motivated. Comedy Corner: Bedside Manners Susie's husband had been slipping in and out of a coma for several months. Things looked grim, but she was by his bedside every single day. One day as he slipped back into consciousness, he motioned for her to come close to him. She pulled the chair close to the bed and leaned her ear close to be able to hear him. "What, dear?" she asked gently, smiling to herself. "I think you're bad luck." How are Men and Women Different: Money A man will pay $10 for a $5 item he needs. A woman will pay $5 for a $10 item that she doesn't need, because it's on sale. Bathrooms A man has five items in his bathroom: a toothbrush, razor, shaving cream, a bar of soap, and a towel from the Motel 6.
iTunes Review 1 Star by Kilton05 Aug 13, 2015 Hypocritical, Blasphemous and Boring God and guns?!!!! Any true Christian that follows Jesus teachings would never make a connection between firearms and the Father. Jesus taught love and forgiveness, turn the other cheek, not shoot first ask questions later. The time you spend on guns and politics dwarfs the time you dedicate to God. Making evident what’s in your heart. (We Googled and found a show that Kilton05 likes The Skepticrat an Atheist left wing show) So I think he’s a troll. Obama supporters like guns to! 5 star by ron4sc, Aug 03, 2015 I love the praise and worship of our Lord on this podcast. The show is funny and informative and never strays away from a biblical interpretation of current events. I will give it five stars but I was going to give it four because every show has a comment implying our president is trying to send the black helicopters to take our guns. He may be on the wrong side of gun control, but it's no different that millions of people, like me, who grew up in an urban environment. The show would be better if you spent more time discussing the bible and less time discussing divisive Washington politics. Love the show otherwise and keep the jokes coming to. I’ve told several to the family at the dinner table.